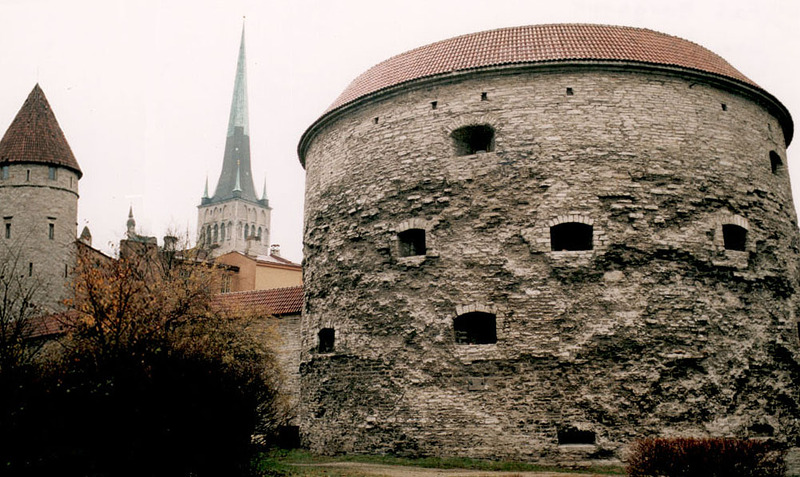 Reval (Tallinn) was part of the German cities' trading union from about 1250 and the Hanseatic League from 1280. It became a walled city in the fourteenth century and flourished, with the rest of northern Estonia under the Teutonic then the Livonian Order, at this time. Throughout the fifteen century fortifications were built in fear of Russian attack and from 1518 onwards in fear of the Danes. At this time the tower, Fat Margaret (see photo) was completed. In 1561 there was conflict between the town and the Order. The Ordensburg was besieged and the Stür den Kerl and Landskrone damaged. The order surrendered and the town came under Swedish rule. During the Livonian War (1558-1583) between Sweden. Poland, Denmark, Russia the Teutonic Order and others, the town was besieged three times but not conquered. Search for voyages to Reval in the 16th century.